Clifford Meth is a darkly humorous sort, who has written countless pieces across numerous genres and formats, for the past three-and-a-bit decades. He's freelanced for such diverse outlets as the LA Times, Fangoria and Wizard, dabbled with Hollywood, and befriended numerous heroes and villains of the creative world. Meth's fiction began to get published through the Nineties onwards, notably for Aardwolf Publishing, who have collected various short stories of his. Deeply involved in the comic industry, he has collaborated with some of the greatest names in the history of that domain, the likes of Gene Colan, Dave Cockrum, Neal Adams, and Stan lee, whilst essaying tales that induce the use of phrases such as "Tales of Ordinary Madness". Those collaborators of course need no introduction- the extended list after all, reads like a who's who of the industry. That essentially is the genesis of Comic Book Babylon, a bumper collection of writings on and conversations with the cream of the industry. Culled from years' worth of columns, some published, others not, and illustrated by comic artist Michael Netzer, it's a book that got off the ground thanks to an extremely popular Kickstarter campaign (which took just two days to reach the goal). More importantly though, Meth has also campaigned for creators rights in recent years, demanding the major companies offer both credit and compensation to those who have enabled them to sustain themselves for so long. "Clifford Meth has done more to make the comic book industry better for its creators than has the collective career of many good people working within it." Said Michael Netzer himself. "Those who speak much and do little struggle to fathom how some inspire grandeur with few words. To them, Clifford Meth is of the unfathomable." Boasting a lively introduction by the incomparable Stan Lee, Comic Book Babylon immediately impresses as a heavyweight volume, clocking in at 370 pages, and boasting a litany of big names. Reading Comic Book Babylon however, as with the recent "Marvel: The Untold story", one must be prepared for a little bit of innocence robbing. Figures such as Marvel's Chief Creative Officer Joe Quesada, are painted in an extremely negative light thanks to his role in Marvel perhaps not supporting the ailing legend, Gene Colan, as they could have. Meth's 2010 entries on the health of the greatly respected Colan, make for desperately sad reading. 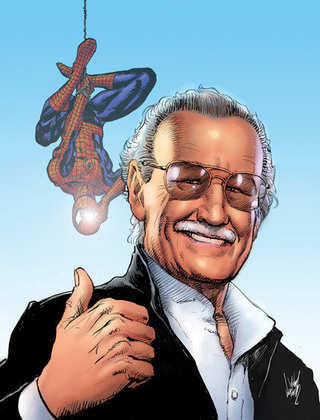 His relationship with his wife, financial difficulties stemming from medical bills, and declining physical condition present a grim latter day depiction of a man responsible for some of comics' most beautiful, graceful work. Similarly, a collection of Dave Cockrum articles are also heartbreaking. The quest to provide Dave and his family with the royalties which he deserved, for his years of service to Marvel, is emotional stuff. Shafted by the company whom he gave the iconic "Nightcrawler" to, and a multitude of designs for other X-Men favorites, Dave's stroke eventually resulted in him needing to reach out and have his family supported. Its the sort of scenario in which Marvel eventually did the right thing by him, but which shouldn't have been an issue in the first place. Herb Trimpe's tale is also eye-opening- he was dismissed from Marvel in the mid-Nineties following 29 years of loyal service. My own first encounter of Herb's work was likely seeing some of his Wolverine art, from Incredible Hulk #180 in 1974. I recall marveling at the differences in his mask in the reprint I read as a youngster, from the more familiar later designs. Here, we get a warts and all account of the comic landscape at the time of his departure, and there's an overriding and absolutely understandable aura of bitterness around a talent who contributed so much. Details of his descent into insignificance as Marvel saturated the market throughout the first half of the decade with ham-fisted reboots and utterly worthless new series' from artists barely qualified to lick Trimpe's boots. Another sad indicator of the fragility of success comes in the shape of the unfortunate case of Bill Messner-Loebs, a writer not necessarily screwed over by the conglomerates as in the case of others. Nonetheless, Meth pleads for our sympathy for a financially troubled creator, who was a genuinely hot property throughout the Nineties. 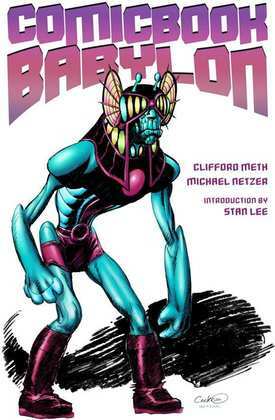 Comic Book Babylon also shares with Sean Howe's tome, an ability to convey the dirty secrets behind awful business practices, without slipping into sensationalist gossip. The format of Meth's volume helps too, instead of a stream of stories that are continually weaved together, we're treated to an eclectic, and unpredictable collective of writing that provides an illuminating insight into each topic or person. Recurring subjects, most notably the likes of Colan and Simonson, also help the book feel like more than simply a collection of columns, adding a coherence and combining to form an overall impression, taking in many points of view. It isn't all doom and gloom either, not by any means. Meth's manner in interviews is a particular delight, and regardless of the subject at hand, or however grim the topics discussed may be, he wields a deft ability with words to bring a sharp wit and and brevity to proceedings. May 2004's interview with Frank Miller is a real treat. Likewise, there's a great piece with the affable Mark Texiera, one-half of the art team on Marvel's superb relaunched Ghost Rider series in the early Nineties. Clifford indulges in booze and current projects on an evening with Tex, while considering the artist's evolving style over the years. This was a particular treat for me, as I was always hugely endeared to Tex's grimy, gritty contributions to Ghost Rider, and Wolverine. A 2004-2005 dialogue with the outspoken Alan Moore, in the midst of writing From Hell, is especially good. Whether he's discussing his early influences and memories, or dipping into his early experiences with Hollywood adapting his work, Moore comes across as very much the opposite of the sometimes grumpy, discontent persona he exhibits. Better yet, is an astonishing Walt Simonson interview, in which Simonson exhibits his superb memory. Split across two parts, Simonson's part is a mixture of inspiration and nostalgia and makes a fascinating read. Of particular note are his assertions towards how he got his Manhunter gig, and discussing how he used to provide a lot of his own lettering, contributing to the overall appearance of many of his books. Part of the joy of Comic Book Babylon, is the ability to be briefly absorbed into the everyday life of people who you idolised growing up, discovering aspects of their routines and approaches, and even finding them fallible and human. On a side note, I'd argue that one of the more interesting aspects of the current crop of Superhero films dominating cinema screens, is the behind the scenes material that turns up on DVD/Blu-Ray. Features such as the documentary concerning Mark Millar and John Romita Jr. bringing Kickass to life in the comic realm, or Marvel's documentary on the historic contributors to Daredevil over the years, have been utterly gripping efforts. Comic Book Babylon, at times, feels like the literary equivalent of such delights- an insight into a world and process that really doesn't have much light shone upon it for the average person. Generally, Comic Book Babylon will forcibly remove some of the misty eyed sentiment towards the comic industry for readers. It's an often grim and eye-opening examination of a business that is fueled by individuals it willingly chooses to smugly chew up and spit out. On the other hand, it only strengthens the admiration one has for those responsible for the books we've all read, for the creators who've constantly been squashed by the horrors of the corporate world. Among all of the negatives, the book is like a treasure chest of comics most important contributors, and a brilliant oversight as to why so many of them are so irreplaceable. The sheer breadth of subjects and vital persons covered here is gob-smacking. From Will Eisner to Joe Kubert, Jim Aparo to Marv Wolfman, the list is both fascinating and should contain someone that everybody finds familiar. Additionally, it's also wonderfully illustrated by Michael Netzer, who provides gleeful cartoons detailed portraits, and helps break up the text in a suitable fashion. Brilliantly written with a hint of of a sharp, poisoned tongue, it could not have failed to entertain this writer. It's also a testament to the efforts of Clifford Meth over the years, and to his efforts to assist struggling creators and help make the comic book industry a better place to work within. In short, this is a collection worth feeling extremely proud of. Already a bestseller in the Amazon.com Kindle store, Comic Book Babylon will be coming to hardcover with physical copies in February. I cannot recommend it enough. Your small part in process of improvement for comic artists and writers would certainly be to pick up a copy, and discover just how unforgiving an industry it can be.